From Glasgow to São Paulo, Rotterdam to the Pearl River Delta, bookmakers from across the globe will convene in Guelph for a weekend of conversation, workshops, and special presentations, and you’re invited! 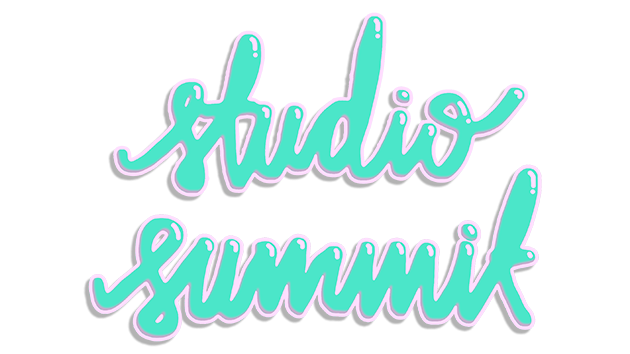 Below you will find the Summit schedule for April 13th and 14th, with links to the Facebook events. From 11am to 4pm we’ll have 4 tables set up at the Kazoo! Print Expo, and our PS sister studios will be bringing special edition books from around the world. Come say hi and find out what treasures they stashed in their suitcase. At 2pm in Palmer Hall (next door to the expo), one of our authors “Friendly” Rich Marsella will give a talk about his book How to Play Your World, which includes instructions for building your own musical instruments, and teaching musical concepts in fun and novel ways. He’ll have some strange instruments onsite for people to try too! At 3pm we present our keynote talk, a presentation by Drawn & Quarterly’s publisher Peggy Burns. In recent years Drawn & Quarterly has been at the forefront of publishing the coolest graphic novels by new and established artists such as Lynda Barry, Jillian Tamaki, Adrian Tomine, and local heroes Seth and Marc Bell. At noon Peggy Burns will offer a free workshop about strategies for marketing books. She will share her years of experience as a publicist and publisher with Drawn & Quarterly to help you reach a new audience for your work. All of the workshops on Sunday are being offered in the Boarding House Arts Building, which is a physically accessible venue. At 1:45pm we are offering a paper marbling workshop with local illustrator and PS author Devon Kerslake. All of the supplies will be on hand for you to make some beautiful paper that you can bring home! Finally, at 3:30pm bookmakers from PS Rotterdam and Pearl River Delta will demonstrate their new Portable Studio, which you may have seen on Instagram. 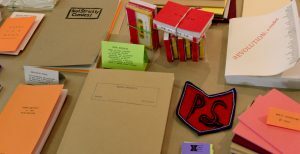 Participants will get to design the look of their book and go home with a “perfect bound” creation! Follow our events on Facebook to stay up-to-date as the Summit approaches. See you in April!